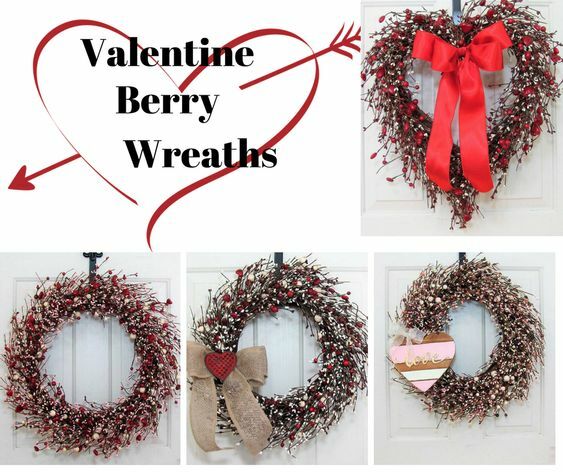 Valentine Berry Wreaths are a stylish way to show love to your guests this Valentine’s Day! These designs by DesignaWreath are fabulous! I love the ones with red Hearts mixed in to appear natural with the berries. READY TO SHIP – The base of this wreath is a 12″ grapevine/twig wreath, decorated with the red and ivory pip berry and red heart garland. 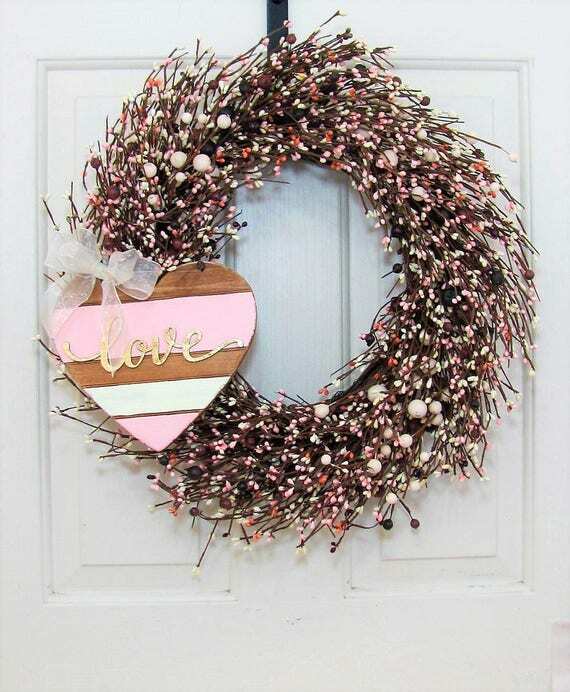 This wreath can be purchased with or without the bow and without or without the wood hearts. Measurements: 12″ grapevine base wreath,with a finished size of approximately 16-17″ and a depth of 3.5-4.5″. 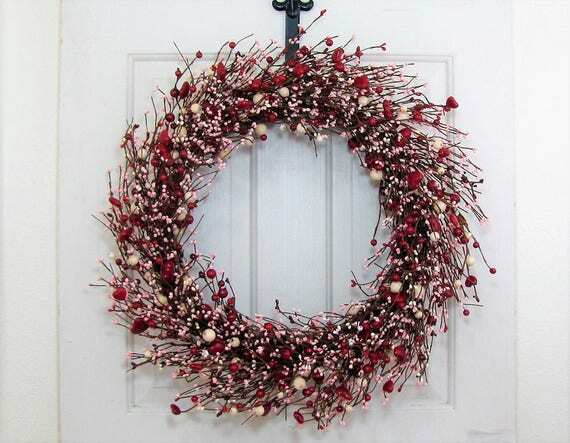 READY TO SHIP – Measurements: 13-14″ STORM DOOR base wreath, finished size approximately 18-19″ in diameter. Depth is approximately 3.5-4″ depending on how much you fluff the berries. It can lay flatter if you extend the berry sprays out further. 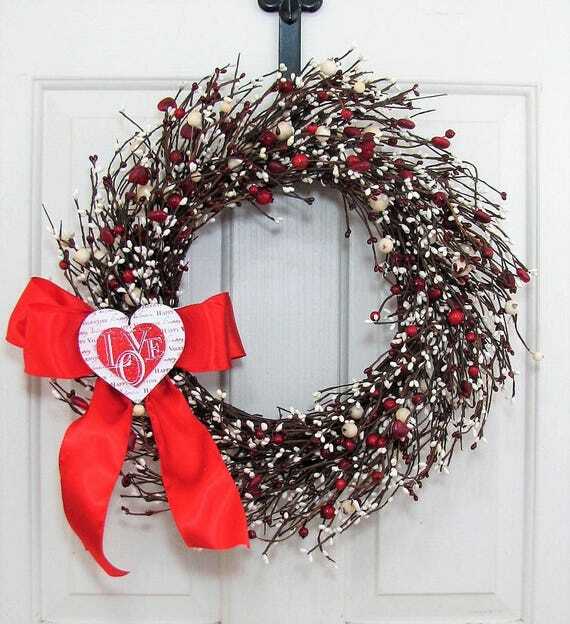 The base of this wreath is a 15-16″ twig heart, I have decorated it with a beautiful mixture of red hearts and red and ivory mixed size berries. Measurements: Finished size is approximately 18-20″ wide by 20-21″ Long by 5.5-6″ deep. 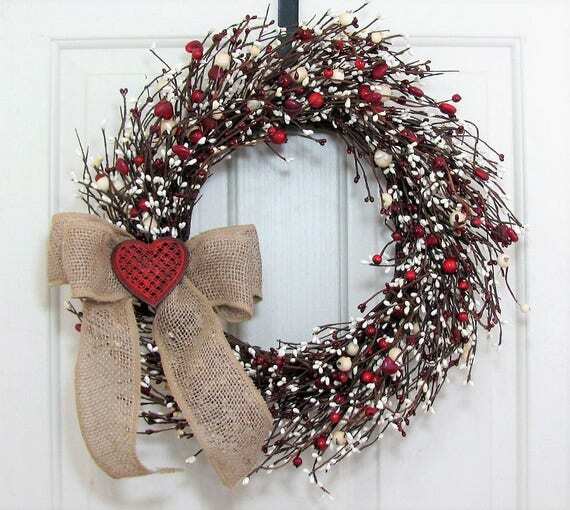 Measurements: 18″ grapevine base wreath, finished size is approximately 22-23″, depth is 5.5-6″. TRIPLE BERRY. The base of this wreath is an 18″ twig wreath, I have decorated it with a mixture of red, pink and ivory mix sized pip berries. 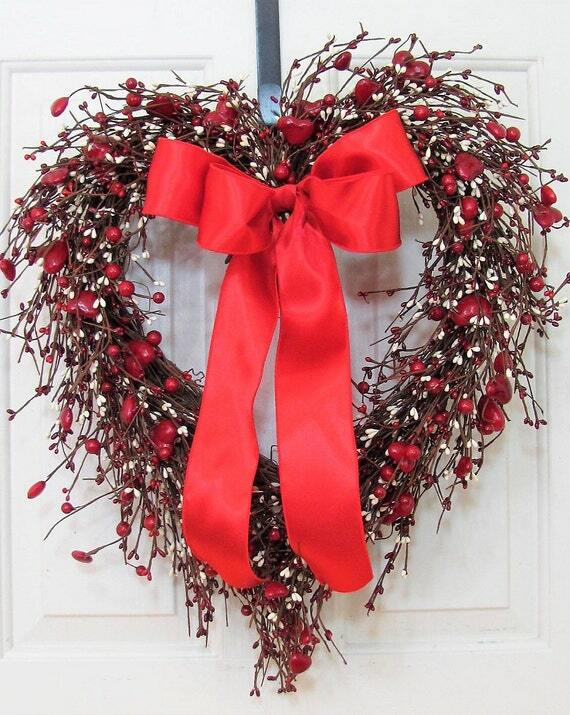 The garland is accented with red Valentine hearts!